Located near Pike Lake, Swamp Lake Moose refuge is a refuge for much more than just moose. Dozens of species of plants and animals call the swamp and upland area home. These species include: beaver, balsam firs, leatherleaf, gray wolves, river otter, blue flag iris, mink, bunchberry, pink lady's slippers, and pitcher plants. 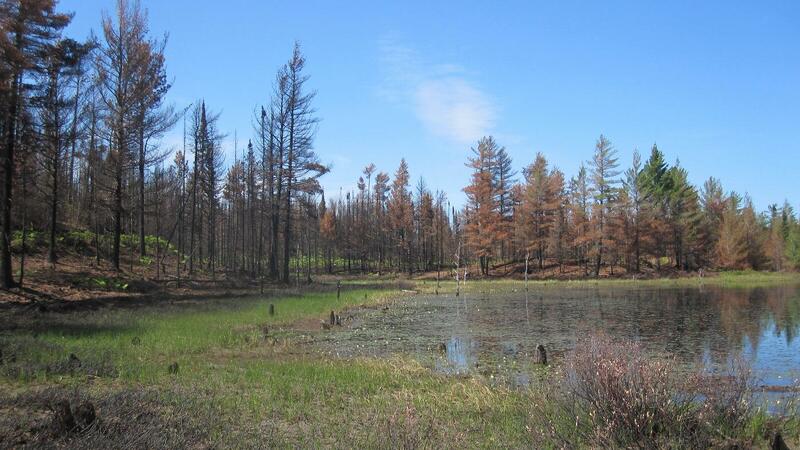 Approximately a third of the sanctuary burned in the 2012 Duck Lake wildfire. The photos here show the evidence of the burn.